And there, for the first time in my life, by the leading of the Holy Spirit I found, a direct and timely, life-applicable instruction from God’s word, which was…. as a child of God, God expects me to be slow to get angry. So, from that day onwards with the help of the Holy Spirit, I gradually became less prone to flying off the handle at the slightest bit of provocation. Anger is a legitimate human emotion. It is our God-given, built in response to real or perceived grievances. Hence not all anger is sinful. Sometimes it’s appropriate to be angry; angry at injustice, angry at sin, angry at false doctrine etc. Anger is also appropriate when it is channeled into noble causes like, doing something that would bring God glory, or that would promote the interest of God’s kingdom (think of David and his reaction to Goliath’s taunting in 1Sam: 17). But then at other times, anger is simply a negative, counterproductive, and a down right foolish response to an unpleasant situation. Only foolish people are quick to get angry. Wise men and women exercise self-control (Prov. 29:11, 14:29, 14:17). It’s OK for a believer to be angry. However we must be mindful not to let our anger lead us to sin Eph. 4:26. And don’t stay angry. Don’t go to bed angry. Don’t give the Devil that kind of foothold in your life. This means that when we allow feelings of anger to persist in our hearts, we give the devil a foothold in our lives. You will agree with me that a foothold in our lives is more than enough opportunity for the evil one to cause major damage in our lives. Not only are believers called to be slow to anger, we’re also told that it is wise for us not to make friends with any person who is of a quick temper because we would one way or the other learn their foolish ways (Prov 22:24-25). 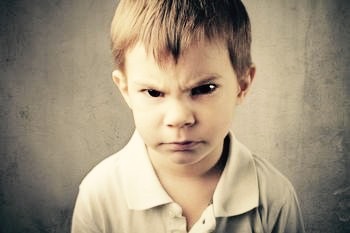 If you’re a person given to easily getting angry, I would advise you take time out to meditate/read aloud all of the scriptures I’ve mentioned in this post, every day for 2-weeks. I firmly believe that as you read these scriptures aloud to yourself for a consistent period of time, you’re understanding of the utter foolishness of allowing yourself to be easily angered would become more real to you and your increased understanding combined with the help of the holy spirit would empower you to exercise more self-control whenever you’re tempted to be angry. God bless. “The love of God has been shed abroad in my heart by the Holy Ghost. I shall endeavor to let that love nature dominate me. I have God’s love nature in my heart – in my spirit. Therefore, I’ll not let my natural reasoning dominate me. I refuse to allow the flesh to rule me. I’m going to walk in the Spirit by walking in love. I am a lover not a hater. I will practice and exercise the fruit of love so that it can grow and increase. …….I will make the love of God my great quest in life, for then my love shall abound, and God shall reap the glory. N.B. The above confession is an excerpt from Rev Kenneth Hagin’s book : ‘LOVE: The way to victory’. can get all posts directly in your inbox. Characteristics of Agape #9: Love Keeps No Record of Wrongs | Ngozikaa! Characterisitics of Agape #10: Love Does Not Delight In Evil But Rejoices With The Truth | Ngozikaa! Characteristics of Agape #11: Love ALWAYS Protects | Ngozikaa! Characteristics of Agape #12: Love ALWAYS Trusts | Ngozikaa! Characteristics of Agape #13: Love ALWAYS Hopes | Ngozikaa! Characteristics of Agape #14: Love ALWAYS Perseveres | Ngozikaa! Characteristics of Agape #15: Love NEVER Fails | Ngozikaa!